Enjoy a 'Night at the Museum' of the dinosaur kind, as Melbourne Museum invites you to stomp the night away at the Jurassic Dinosaur Disco. Dino Discos at Melbourne Museum compliment the incredible Jurassic World: The Exhibition, which will remain open until 7pm every Saturday night in August. Gather your young dino fans and boogie to some prehistoric themed beats, followed by a visit to the groundbreaking Jurassic World exhibition after dark. 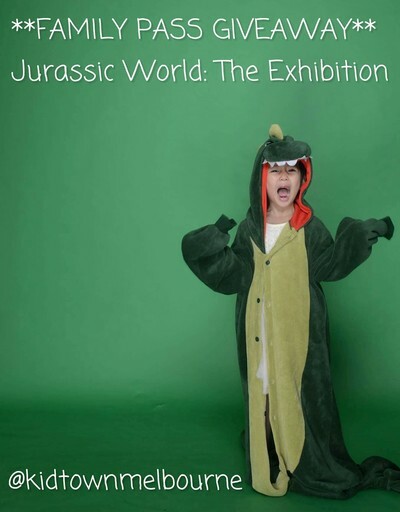 Jurassic Dinosaur Discos are open from 6 - 8pm, and sessions for Jurassic World: The Exhibition are booked in separately, running in 15 minute intervals from 6 - 7pm. To celebrate Melbourne Museum's Saturday night Jurassic Dinosaur Discos throughout August, we are giving away not one, but TWO family passes (2 adults, 2 children) to Jurassic World: The Exhibition. To enter, tell us why you would like to win this stomp-tastic prize by emailing us at kidtownmelbourne@gmail.com with DINO DISCO as the title of your email. We will announce two winners on KidTown Melbourne's Facebook page on Saturday 30 July, 2016. Do you think the sequel to Zoolander will ever happen?